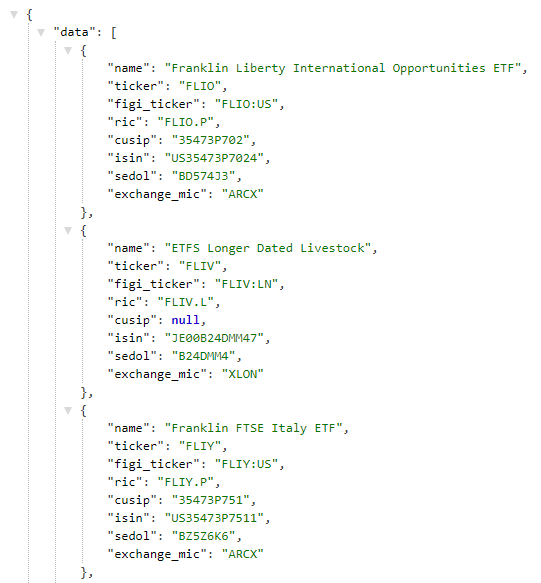 We've partnered with First Bridge to offer institutional quality data feeds and analytics on Exchange Traded Funds (ETFs) via our REST API. 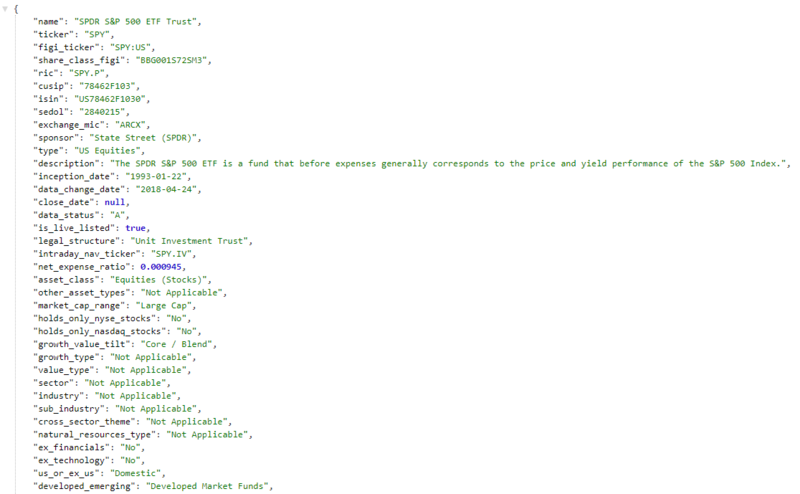 This coverage includes metadata on all ETFs globally, and current pricing data, statistics, and holdings for all US ETFs. Provides over 100 columns capturing granular reference data and investment objectives. 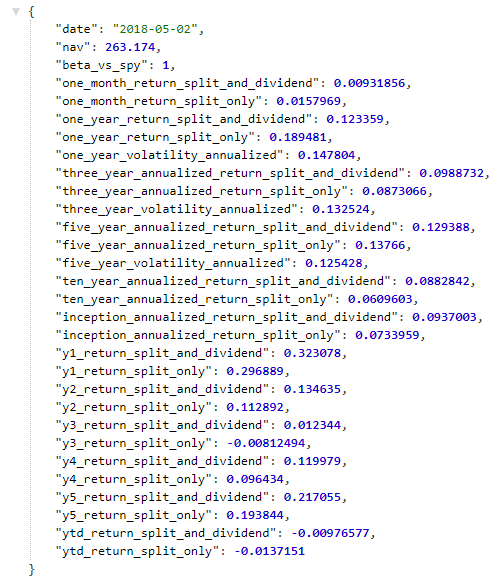 Fields in the list include Composite Name, Index, Index Weighting Scheme, Index Provider, Expense Ratio, Sponsor, Description, and Smart Beta Type. 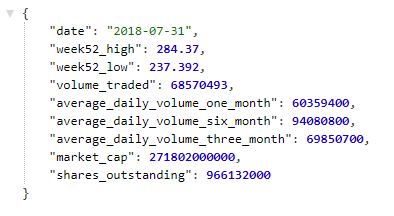 Provides daily key statistics for all ETFs within the United States, including shares outstanding, average daily volume, and market price based returns (market price & total returns). Provides daily key statistics for all ETFs within the United States, including Net Asset Value (NAV), shares outstanding, average daily volume and NAV based returns (market price & total returns). Provides data on all holdings for all ETFs within the United States, including the constituent name, tickers, and weight percentages. The feed is monitored daily and is updated as such. As with all Intrinio data feeds, you can see the pricing plans that are available on each respective product page (links can be found at the top of this article). Should you need more data or a custom solution, we are happy to provide you with a quote. Send our team a message! Quotes are generally returned within 1 business day and are by default paid month to month, meaning users can cancel at anytime. A quote and a free trial are always made available before any subscription. If you have any additional questions about the First Bridge ETF Data Feeds, feel free to chat with a member of our team and get started with Intrinio!